This type of fraud has affected a recent client of mine. I’m sharing his story (with permission). I’m modifying the facts so this will have no impact on his future immigration yet it can still serve as a warning to those who get caught up in these type of situations. 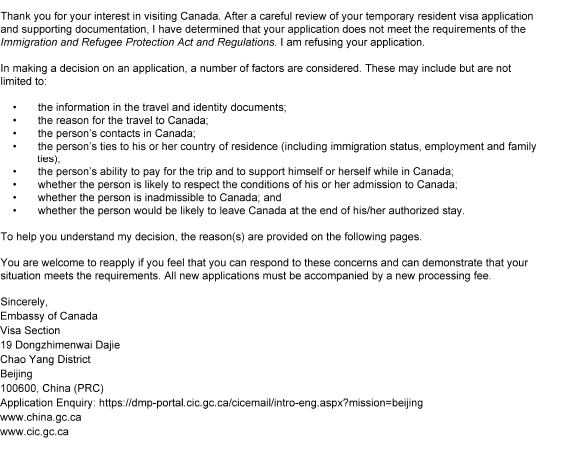 You are a citizen of China seeking to visit Canada where you have a sibling who is currently on a post-graduate work permit. You engage in the services of a local agent in the service of your small town on the outskirts of Qingdao. He says he is an immigration service. They have a 95% success rate and they can help you with the process. They say they will go to the Visa Application Centre (“VAC”) VAC on your behalf. It is easier that way and you will not need to do anything other than to give them documents. You provide them the documents. They tell you that they believe you will be granted a visa and to wait approximately three to four weeks for notification. They do not provide you any receipt or file number other than a brief voice message indicating it has been sent. You have not seen the final package. They notify you on 29 April 2016 that your application was unfortunately refused but that the refusal was out of their control. They say that refusal decision appears to put the onus entirely on you for not providing enough financial documentation. The letter is addressed to you, it has the file number. You accept the refusal as par the course. You don’t blame the agent. Your family accepts it (they got their visas after all) and you let the matter go. Several years later you find a licensed Canadian representative. You now wish to visit Canada again to celebrate your brother’s wedding. Your brother hired a representative in Canada who assisted him on his PR paperwork (economic immigration) which went smoothly. As part of the process, your new representative recommends that you do an access to information request to get a copy of the Officer’s Electronics notes and the refusal letter. You ask for a copy of the physical file as well. you pay $5 dollars for this request. A month later, IRCC responds stating that they have unfortunately disposed of your information in correspondence to their data retention policy. This date is 6 days before the date of the refusal letter you received from your consultant. There is also a different address located on the top of the letter – not just your name listed. In the electronic notes, you learn from the notes that a large portion of the refusal was actually due to the submission of unclear photocopies. The reasons for refusal were entirely the same as the one included in your letter for the consultant. Why was the refusal letter transferred to a new form? (2) The address of the agent involved. You did not ask a Beijing firm for support. Why is there a Beijing address? By scrubbing the refusal letter and writing their own fake one, they were able to preserve their network of addresses. This would stop a line of investigation from IRCC. This would insulate the fact that the individual in Qingdao was not doing the work potentially and may have been a sub-agent for someone in Beijing. As a client, you should always review everything that goes out, demand a copy of everything that is sent on your behalf, and require a file number as soon as possible. If you are passive and don’t take these steps, these are the types of frauds that will be perpetrated on your behalf. While in this case, the only misrepresentation was a passed on refusal letter (not anything directly submitted to IRCC), it would not be out of ordinary for a fraudulent document to have been submitted on your behalf. With two years having passed, you will have no way of ever knowing. I encourage all applicants to act prudently. Immigration works very differently than likely in your own countries where the process may be done in person, or through a process where you know exactly what is being passed on and when. With the move to electronic communication, and the lack of regulation of overseas agents, expect to see much more of this moving forward until preventative steps (such as sending a copy of the entire file to the client as well as the agent) are implemented. by IRCC. There are are also various sentencing principles meant to guide the discretion of decision-makers to ensure that the sentences are properly set down. These include factors such as potential rehabilitation and whether the punitive and societal aims of the proposed sentence are met. During the previous government’s tough on crime focus, this led to the introduction of the Faster Removal of Foreign Criminals Act (FRFCA) which clearly was introduced with deterrence in mind when it came to punishing foreign nationals and permanent residents for misrepresentation. In my assessment, I believe that not enough attention was paid to the overall requirement of proportionality. An examination of the effectiveness of the IRPA’s current misrepresentation provision — that is, the two-year period of inadmissibility that bans a foreign national from entering or remaining in Canada because of directly or indirectly misrepresenting or withholding material facts that cause an error in the administration of the IRPA — determined that it is not sufficient to deter fraudulent applications, particularly for permanent resident applicants, as processing times in this stream can be in excess of two years. In those cases, permanent resident applicants who have been found to have provided false information can simply reapply almost immediately and wait in the processing queue for the two-year inadmissibility period to be completed. In practice, there is little or no consequence for these applicants. Amendments to existing regulatory provisions related to misrepresentation would support legislative changes that provide a stronger disincentive for applicants to provide fraudulent information on their immigration applications. The changes would also help ensure that the processing of legitimate applications is not delayed by fraudulent permanent resident applicants who reapply and wait out their period of inadmissibility in the processing queue. In addition, the increased consequences for misrepresentation would make Canada less vulnerable to immigration fraud by bringing consequences in line with Canada’s like-minded international partners. A stronger deterrent for misrepresentation would benefit Canadians by ensuring travellers and immigrants admitted to Canada meet the criteria established to support Canadian immigration objectives, and would increase public confidence in and support for Canada’s immigration program. United States: lifetime inadmissibility (i.e. ban on entry) for visa fraud or misrepresentation. I think one of the challenges is equating all of those caught under s.40 IRPA misrepresentation with fraudulent permanent resident applicants. There may be (and I have seen many) individuals who made genuine mistakes in misrepresenting themselves (or hiring the wrong person who misrepresented for them), when in fact they often had recourse to other routes such as their bona fide permanent resident applications. Essentially, what you have amounts to a very broad provision under the immigration inadmissibility for misrepresentation (s.40 of IRPA) [separate from the immigration offense of misrepresentation under s.127 IRPA] which can cover several non men reus incidents such as unknowingly withholding material evidence or having a third party indirectly misrepresent on behalf of an unknowing applicant who has paid for the services. In an inland situation, a foreign national applicant is written up for misrepresentation and referred to the Immigration Division who are usually bound to enforce the order. The first stage of this reporting process takes place at the Port of Entry or with the help of Inland Enforcement as coordinated by Canada Border Services Agency (“CBSA”). Generally speaking CBSA is bound to pursue the misrepresentation allegation, but I have been successful in a few occasions to have them “commuted” (so to speak) to lesser non-compliance findings that can carry a one-year exclusion order. I strongly agree with this practice, but again I think without anything written down on paper to support it, it becomes a remedy that is difficult to ultimately rely on or seek – Good in effect, but not effective in law. As per A40(2) and (3) of IRPA, the inadmissibility period is five years. The FRFCA announcement added a five-year bar to applying for permanent residency. Currently, there is a lack of clarity on whether IRCC has the discretion to ARC back a misrepresentation client as a permanent resident or only as a temporary resident. I have heard from various individuals in private practice that this is done but ultimately with some inconsistency. I am currently in the process (by ATIP and coordination with various Immigration, Refugees and Citizenship Canada (“IRCC”) Offices/Officers to seek some clarity). I believe there is some incongruity to allowing the ARC back of a temporary resident (a visitor or worker with a bona fide purpose), but not a permanent resident who may have been part of a genuine relationship unrelated to the misrepresentation. I will not get to it in this piece, but there are also quasi-criminal, regulatory, and criminal punishments for misrepresentation that could render an individual inadmissible to Canada for criminality in addition to misrepresentation. I think applying a five-year inadmissibility and five-year bar on PR for misrepresentation is both too light and too heavy, all at the same time. I am in favour of strict punishment of mens reus perpetrators of misrepresentation. Those that purposely committed or instructed the commission of fraud in order to seek entry or status in Canada. Individuals who are part of larger efforts to defraud fellow immigrants (in addition to being punished regulatory wise) should face the highest form of punishment. However, there are simply too many cases where it really is the unfortunate promise of a purported “trusted immigration representative” or even cases of ignorance, albeit willful blindness, of Canadian law. I believe CBSA should have some legal recourse, written in legislation, to provide these individuals with a two-year bars or even a five-year inadmissibility period, but a waiver of the five-year PR bar. I think the way to handle the issue of “discretion” is to make is clear that the Immigration Division/Visa Officer/Immigration Appeal Division’s decision is not subject to appeal in the case of a foreign national and that they have a broad ability to determine the reasonableness of the ban. Disclaimer: this is not the law and merely my legislative rewriting for the purposes of this piece. Changes in italics. 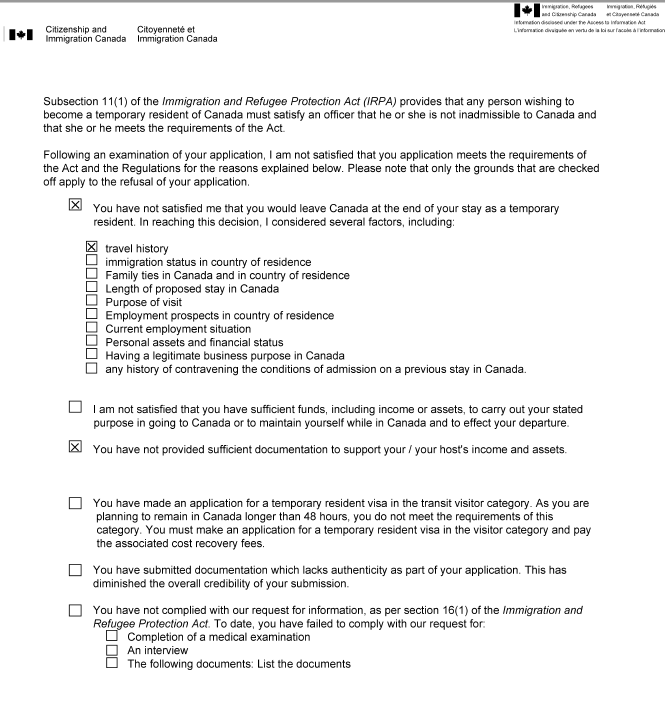 (a) the permanent resident or the foreign national continues to be inadmissible for misrepresentation for a period of between two and ten years following, in the case of a determination outside Canada, a final determination of inadmissibility under subsection (1) or, in the case of a determination in Canada, the date the removal order is enforced. The sole discretion in determining the length of misrepresentation will fall to the Immigration Division or an overseas visa officer, in the case of a foreign national, or the Immigration Appeal Division, in the case of a permanent resident, and is not subject to the right of appeal. (b) paragraph (1)(b) does not apply unless the Minister is satisfied that the facts of the case justify the inadmissibility. (3) A foreign national who is inadmissible under this section may not apply for permanent resident status during the period referred to in paragraph (2)(a), subject to the discretion of the Immigration Division, in the case of a foreign national, or the Immigration Appeal Division, in the case of a permanent resident, to waive the requirement due to the Applicant’s mitigating factors. (b) The decision of whether to add section (3) as a term of the period of inadmissibility under section 3(a) will fall to the Immigration Division or an overseas visa officer,in the case of a foreign national, or the Immigration Appeal Division, in the case of a permanent resident, and is not subject to the right of appeal. I think such a system would create a much more rehabilitative process for those who have made mistakes and are willing to correct them, yet at the same time can be used to punish those who have committed egregious misrepresentations. What are your thoughts on this? Do you agree or do you like the one-size fits all, easy come easy go approach, that is currently written in law? My mentor and colleague Steve often tells me when I go on and on about having found the “perfect precedent” for my case that in the realm of the Federal Court such a term is not so easily contrived and applied. The fact specific nature of immigration inquiries combined with the cautious nature of many judgments written by the Bench that emphasis this, make it often difficult to establish precedent. The standards of review (reasonableness and correctness) themselves open up a certain level of discretion. What may be reasonable in one circumstance can become unreasonable in another. What is procedurally fair in one circumstance can be unfair in another. More often than not using Federal Court case law (in the context of Federal Court) becomes the task of not arguing whether legal principles are right or wrong but taking your client’s case, case law in support, and case law not in support, and sussing out the factual nuances. Certifying a question, the only way by which the case can go to the Court of Appeal and eventually to the Supreme Court of Canada is becoming more and more difficult. You are more frequently seeing Federal Court judges rule this way: (example taken from Steve’s recent win in Federal Court in Gupta v. Canada (Public Safety and Emergency Preparedness) 2015 FC 1086). The respondent takes the position that this matter is too fact-specific to merit certification of a serious question of general importance. At the respondent’s suggestion, I will not certify a question. That being said, there is a recent case of cautious judicial writing but one that makes what amounts to quite a strong criticism of some of the elements of the CIC’s current practice if sending admissibility procedural fairness letters. For those that are new to the term, procedural fairness letters are the letters CIC sends when there is further information they need or further submission they require you to make in order to dispel them of their concerns. In some application contexts, failure to submit an adequate response will lead to applications being thrown out. In other contexts, such as inadmissibility, the consequences will be more sever as an s.44 inadmissibility report may be written up on your client. 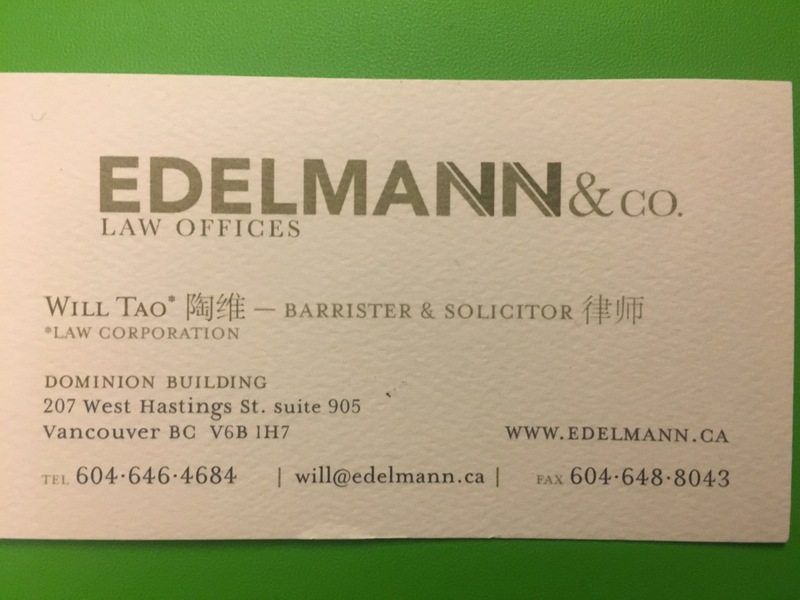 For immigration lawyers/practitioners, it represents the first (and possibly last) opportunity we will have to effectively represent the client before any litigation (i.e. Federal Court and Immigration Appeal Division in some cases) where the onus shifts quite drastically to the Applicant to prove his or her case. The Guerrero case is a very interesting one for the situation is not an uncommon one but the consequences are quite severe. In fact, in our office we have done a few consultations on related situations. To sum it up briefly (as you can read the entire case: here), Mr. Guerrero applied for permanent residency through the Federal Skilled Worker program in 2010 and added his wife, Merambel, after marriage in 2013. During his interview at the Port of Entry and prior to finalization of the PR application, it came to light that Guerrero had had an affair with a lady named Martinez (a coworker). He made some statements at the Port of Entry during his interview, that formed the basis of Officer’s notes. Based on CIC’s concern about the relationship, a procedural fairness letter sent referencing misrepresentation and the bona fides of the relationship. In response, Mr. Guerrero sent statutory declarations and provided evidence of his relationship. Finally a decision was issued, finding that he had misrepresented himself in statements he made at the port of entry as they contradicted with his written statements in response to the procedural fairness letter. Justice Southcott’s decision in Guerrero turned on an analysis of procedural fairness and whether the failure to provide the Applicant a fair opportunity to contradict or corrective statements amounted to a breach of procedural fairness. Justice Southcott’s decision, I found, very clearly distinguished between situations where the applicant themselves provides information versus the use of extrinsic information that the applicant is unaware of (para 28 of that decision). The challenge for the Respondent in advancing this position is the fact that, prior to production of the Certified Tribunal Record as part of this judicial review application process, the Applicants had never seen, reviewed or approved these notes. The notes are therefore different from a written statement or other documentary evidence submitted by an applicant and different from someone else’s record of what an applicant has said where the applicant was provided an opportunity to review such record. In my view, in the absence of such an opportunity, depending on the use of the record, the duty of procedural fairness may be engaged so that the impugned individual is not deprived of the opportunity to raise concerns about whether the statements were recorded accurately. I am conscious of the Respondent’s point that it is not common practice to provide port of entry notes in circumstances such as these as part of the duty of procedural fairness. I am not suggesting that there should be a general obligation to do so. Rather, my conclusion is that, in the specific circumstances of this case, given the particular use that was made of such notes by the Officer in making the Decision, the content of the procedural fairness letter did not contain sufficient detail to satisfy the duty of fairness. My finding is that the Officer’s approach to the discharge of that duty was accordingly incorrect and, if I were to afford some degree of deference to the manner in which the Officer approached that duty, I would also conclude such approach to be unreasonable. Even in light of all of Justice Southcott’s cautious reasoning, I think his analysis does raise a very real challenge to the status quo of broad procedural fairness letters. For example, in one of the recent cases we worked on in this office relating to criminal inadmissibility, we were quite sure the tactic of CBSA was to pass the ball to us first rather than to have them weigh through the thousand pages of evidence. 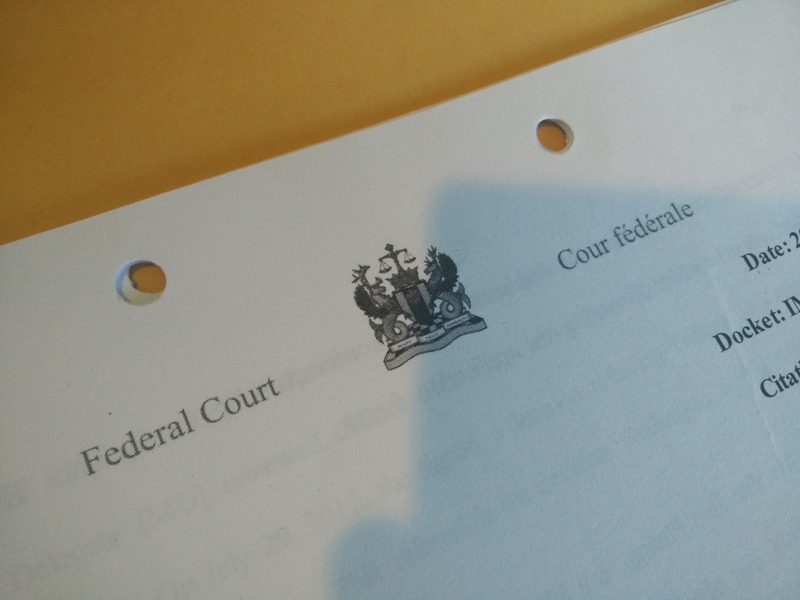 The procedural fairness letter was very broad and did not even specify what criminal code provision our client was being found to have ‘committed’ an equivalent offense under. While perhaps most relevant in the inadmissibility context, where the consequences on the applicants are very severe, I could see this principle applied to all types of economic and family immigration cases. Many procedural fairness letters that are sent are standard-form, and certainly much less detailed than the ones the Guerrero’s were afforded. While the practice of counsel ATIPing to get the ‘cards held by CIC/CBSA’ will continue, it does suggest that our immigration officials need to be more thorough in laying out their claims before sending the letters. Because the actual requirement to hold an Electronic Travel Authorization (eTA) does not kick in until March 2016, the regime has been understudied and largely unreported outside of the immigration legal community. On the surface, the new eTA requirement conceptually seems quite simple. Up to now, those exempt from the temporary resident visa requirement process did not undergo any prior screening or vetting. Decisions were made solely at the port of entry and concurrently Canada’s border/immigration system was susceptible to allowing in visitors, who had not made prior applications to Citizenship and Immigration Canada (CIC) and who are ultimately inadmissible, into Canada. Importantly, Canada made some commitments in the Canada–U.S. Beyond the Border Action Plan several years ago where they pledged to introduce an eTA regime. They were bound by those commitments to introduce the regime. I want to highlight in this piece, five things you might not know about the eTA regime. By the way, I will not go through a comprehensive review of the regime. For those who want to read more about the policy changes in general, check out CIC’s Program Delivery Update for August 1, 2015 and the text of new Immigration and Refugee Protection Regulations (IRPR) via the Part 2 – Gazette in April of this year. Check out also my colleague Steve Meurren’s post for a summary of the new regime. #1 – The eTA now allows for visa-exempt visitors to Canada to be issued removal orders from outside Canada. Until that removal order is enforced, the visitor will not get an eTA and not be allowed to come to Canada. (c) they are not inadmissible on grounds of security, violating human or international rights, serious criminality or organized criminality. 25.2 An electronic travel authorization shall not be issued to a foreign national who is subject to an unenforced removal order. #2 Cancelling an eTA (at least from a legal perspective) is not as easy as CIC makes it seem (from a policy perspective). The intersection between policy and law always play an interesting role in Canadian immigration law. As the Federal Courts have made clear on several occasions, online instruction guides, processing manuals, operational bulletins (which now can be extended to include program delivery updates) do not constitute law. Often times CIC will provide instructions that summarize the law without providing its full details or make recommendations that aren’t legal policy (e.g. when they tell applicants they should apply for extensions 30 days before expiry for several programs, when often times doing may hurt their implied status). For how long is an eTA valid? Section 12.05 of the Immigration and Refugee Protection Regulations indicates that an eTA is valid for five years or until the applicant’s passport expires, whichever occurs sooner. Section 12.06 of the Regulations indicates that an eTA can be cancelled by a designated officer. Once cancelled, an eTA is no longer valid. While this statement is not incorrect per-se- it omits a few important details. (b) the foreign national is the subject of a declaration made under subsection 22.1(1) of the Act. Subsection 22,.1(1) of the Act (Immigration and Refugee Protection Act) is an interesting one. This section allows the Minister, on his or her own initiative, to declare that a foreign national cannot be come a temporary resident for a period of three years, justified by “public policy considerations.” The underlying provisions has been in force since August 2013 but it appears no Federal Court jurisprudence (at least none that I could find) talk about this provision. To me it is a very discretionary provisions. Could we see an increase of cancellations of eTAs on s.22.1(1) IRPA grounds where inadmissibility has not yet been made out but there is some concern about the individual’s background? I certainly think so. #3 – Adverse Information on your immigration file may mean your eTAs might take a while. CIC has made available by way its most recent program delivery update, updated instructions for how to assess adverse information on file for an eTA applicant. If the applicant previously applied for entry to Canada (either through a CIC program or through the CBSA at the port of entry), or if they are already known to CIC (through intelligence, for example), and if there is adverse information on file for the applicant, it will be uncovered through the automated eTA screening process, which will cause the application to be referred for manual review. Did the adverse information result in a previous refusal? What is the full story behind the refusal? Look at the case notes to fully understand the reason for the previous refusal. It is not sufficient to only look at the refusal ground(s). Was the applicant previously refused because they did not meet the specific needs of the category to which they were applying? For example, if they were refused a work permit because they did not provide a labour market impact assessment, would this impact their eligibility to come to Canada as a visitor? Have their circumstances changed since the refusal? Is this still a concern? Has the applicant received an approval between the time of their eTA application and the adverse information on file? Note that the automated eTA screening process will not take this into account when determining if a case should be referred for manual review. What type of adverse information is on file? How long ago was it entered? An officer must be satisfied that an applicant is not inadmissible to Canada under A34 to 40 prior to issuing an eTA. Officers initiate and conduct admissibility activities as needed. This may include screening requests to partners, criminal record checks, info sharing, medical exams and misrepresentation activities. I find CIC’s example of applying for a work permit without an LMIA kind of curious, as not meeting program requirements does not directly lead to an inadmissibility. 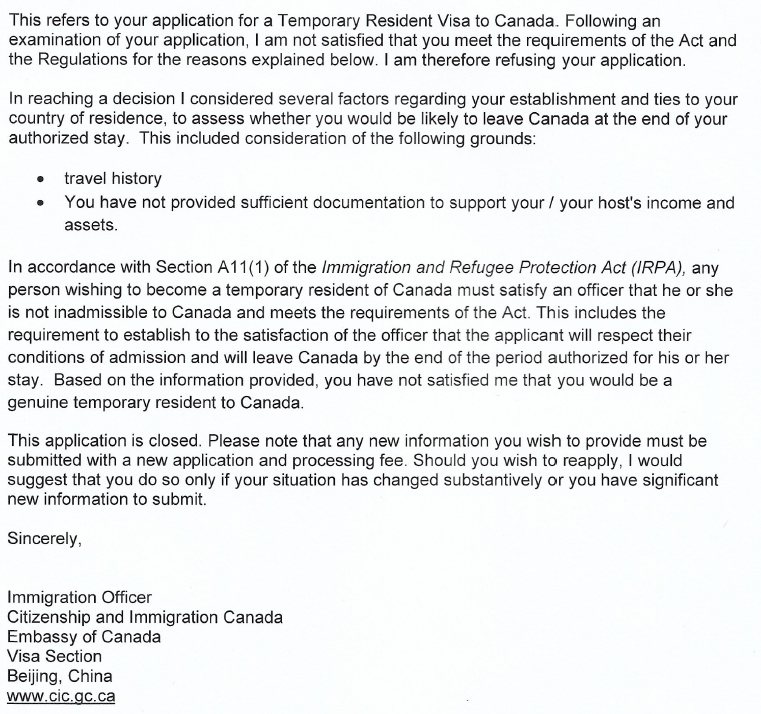 However, it appears to suggest that for these type of cases, a procedural fairness letter may be sent to eTA applicants asking them to “explain the circumstances”, with the ultimate fear being that an applicant is attempting to enter Canada to work without authorization. What this all means, is an Applicant needs to be very careful with misrepresentation (a topic I have written about quite extensively, so see previous posts!). Strategically for a permanent resident, there may have been reasons in the past to enter Canada on a separate passport or travel document (particularly if their permanent resident card had expired or was lost and/or they no longer met the residency requirement). eTAs effectively end that practice and create an added barrier – the e-relinquishment process. Based on case history, is the applicant indeed a permanent resident? 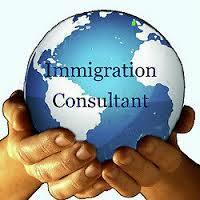 Based on case history, has the applicant renounced their permanent resident status? Often, even though a person has renounced their status, their GCMS profile still shows them as a permanent resident. Again, expect this new eTA to increase the number of residency determinations and will likely trickle through to more appeals at the Immigration Appeal Division. An Applicant holds a valid eTA and is now booking a plane ticket. Now what? There is a whole process that runs in the backdrop between commercial Airline Carriers and Canada Border Services Agency to inform them of who is on the plane that will be arriving in Canada. A lot of the front end information sharing will essentially begin with you entering your name into a flight reservation system to buy tickets all the way until you arrive in Canada. This includes any questions or document requirements asked of you by Airline staff. I have written a bit about this in a previous post. I have signed up for the webinars offered by CBSA to try and understand this process better (from the Airlines side). Hope to update everybody soon. Ultimately, there is no reason to wait to file your eTA application. As the requirement deadline comes in. If you expect to come to Canada as a potentially, visa-exempt visitor by March 2015, it would be a very good idea to start applying for an eTA now. It may also be a good idea to get notes on your file first, so you at least have a good idea of what might come down the pipeline for an eTA application. Hope this post was somewhat enlightening. Thanks to the new changes to the Citizenship Act, all of which are now officially in-force as of June 11, 2015, there are also new Citizenship Forms and Regulations. 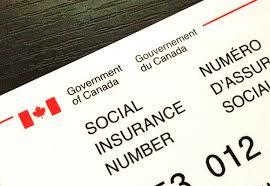 Part of the changes to the Forms and Regulations are new requirements for Applicants to provide their Social Insurance Number. Unlike in the context of permanent residents, where Citizenship and Immigration Canada (CIC) has made providing Social Insurance Numbers an option, for Citizenship failure to provide a social insurance number if you have one and tax filings if you are required to file them will lead to your application being returned pursuant to s.13 of the Citizenship Act. While reviewing the CIT0002E form, I noticed something that is worth knowing about providing your SIN number. I will explain this point in a series of screenshots (apologies in advance if they are slightly blurry). You can follow along with the form here. The selection box is kind of confusing as you can see above. It appears the only thing that would trigger selecting no (which also exempts you from having to provide a part 9 consent to allow Canada Revenue Agency disclosure) is if you are not required to file taxes [ps form creators there’s a typo it says part 8]. 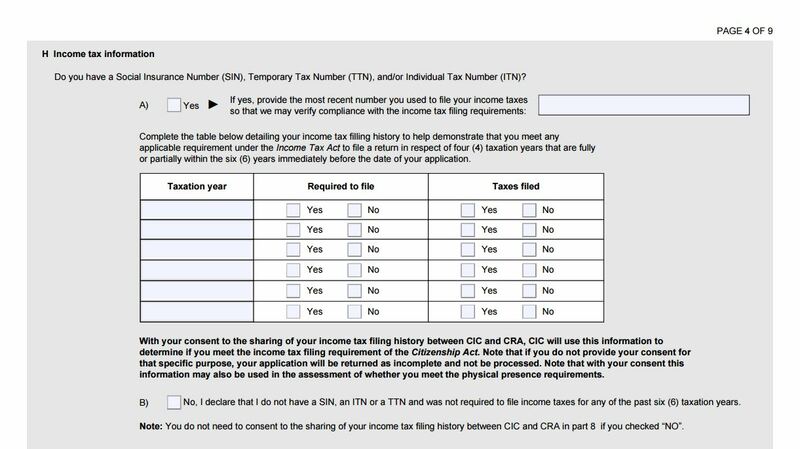 Importantly, the form reminds you that with your consent CIC will use that information to determine if you meet the income tax filing requirement of the Citizenship Act. If you do not consent, it states that your application will be returned as incomplete and not processed. It also states that the information may be used to determine whether you meet the physical presence requirements. As a reminder those requirements are 4 years out of 6 years and 183 days or more in four calendar years out of the six calendar years being relied upon. Again, with social insurance numbers and at the ability to trace your financial steps that is easily verifiable. The section begins with another reminder that if you do not consent your application is not complete according to the Citizenship Regulations. Arguably, there’s no real consent being asked for and again the regulations make it clear it is a requirement. What is very interesting about this section and that it is important to be aware of is that the sections being cited as the impetus for the disclosure are not the only purposes for which the information can be used. Section 26.6(2) of the Citizenship Regulations clearly suggests that the information can also be used to determine discrepancies of material circumstances made in the curse of an application. Not necessarily just the Citizenship Application and arguably also within the realm of other government programs. Misrepresentation. You can kind of tell it is the theme of the posts today. With the new regulations, it is very possible that misrepresentations on any previously submitted application related to tax or immigration could trigger misrepresentation under s.40 and perhaps even the offense of misrepresentation under s.127. Prior to submitting a Citizenship Application it is crucial that a full Access to Information and Privacy request to Citizenship and Immigration Canada, Canada Border Services Agency, and the Canada Revenue Agency is performed to ensure the consistency of past submissions and correct any inconsistencies before applying for Citizenship. 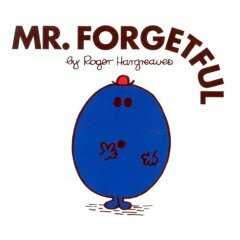 Forgetting A Period of Employment = Misrepresentation? Quite Probably. Under Canada’s new Express Entry system for Economic Immigration, Applicants are required at the profile creation stage to list their entire employment history for the past 10 years or since the age of 18 in an electronic form. Particularly for individuals who work contract on short term duration work, this record could be very long and it is very possible that inadvertent omissions could be made. Upon accepting an Invitation to Apply (ITA), a pre-populated form will be created based on the jobs initially listed in the created profile. For positions not listed, a letter of explanation containing the omitted information is highly recommended. Ultimately, if there are serious discrepancies, such discrepancies should be resolved prior to accepting the Invitation to Apply as doing so begins to triggers the recording of information into CIC’s Global Case Management System (GCMS). Could failure to include a position of employment lead to misrepresentation? What if that period of work is not being relied upon to qualify for a specific program? Ms. Paashazadeh was a Federal Skilled Worker (FSW) Applicant who in her application failed to disclose two period of employment. Upon receiving a procedural fairness letter requiring her to provide a Social Security Organization certificate, she disclosed a part-time job with a tourist company and a respective full-time job. She wrote in response to the request/procedural fairness letter that she did not intentionally withhold the material and honestly considered the work to be insignificant, given she has already fulfilled her employment requirements for the FSW program. The Program Manager disagreed, and upon receiving the Social Security Organization certificate refused Ms. Paashazadeh’s application and cited her for misrepresentation under s.40(2) of the Immigration and Refugee Protection Act. The Program Manager noted that the complete and accurate employment history was material to the assessment of eligibility and admissibility. 26 A misrepresentation need not be decisive or determinative to be material; it must only be important enough to affect the process: See Sayedi v Canada (Minister of Citizenship and Immigration), 2012 FC 420 at paras 26-27. I agree with the respondent that a failure (innocent or otherwise) to supply a “truthful, complete and correct” application is material because it prevents the reviewing officer from assessing all of the applicant’s personal facts and to verify all of the information concerning an applicant to determine whether he or she is properly admissible to Canada. What is relevant is a broader concept than what is material. (2) this relevant information will not always affect the process undertaken by an officer or the final decision. Only when it affects the process undertaken, or the final decision, does it become material. At this point, misrepresentation of the information means section A40 would apply, regardless of the decision outcome. Perhaps with only one case and one definition, it is premature to suggest a trend that the threshold to misrepresentation is lowering. However, this is a very important question given we know the penalties and consequences of misrepresentation are certainly increasing. Again, it is uncertain how misrepresentation will be applied in the context of Express Entry and in the context of misrepresentation. A question and an answer that will be update for sure. As I have covered in previous blogs on the topic, I believe Misrepresentation under s.40 of the Immigration and Refugee Protections Act [IRPA] is the new tool that CIC will be increasingly using to defend program integrity. The penalty for misrepresentation used to be only two years, only a year greater than the penalty resulting from an exclusion order and almost negligible in the case of Applicant filing a Permanent Resident Application to benefit from processing during the two years. Now with a 5-year bar and the inability to file a PR Application during the 5 years, a misrepresentation finding against an Applicant (or the spouse of the Applicant) has serious consequences and can act as both a punitive and deterrent measure of our immigration system. It is also important to note that punishment for misrepresentation extends well beyond s.40 of IRPA. In fact, s. 127 of IRPA, creates the offense of misrepresentation. Section 128 clarifies that the offense is a hybrid offense, and thus by operation of s.36(3)(a) IRPA‘s criminality provisions is deemed an indictable offense. By operation, an offense of misrepresentation can trigger not only an s.40 inadmissibility but also a serious criminality or criminality inadmissibility. Criminal inadmissibilities have consequences that last far beyond the 5 year period. What makes a misrepresentation the IRPA offense of misrepresentation? Just recently, the Canada Border Services Agency (CBSA) in a news release, raised a very interesting scenario that caught many of us in the immigration bar a little by surprise. Generally, misrepresentation cases that are brought to light by CBSA (or that we hear of in the media/case law) involve some sort of illegal human-trafficking or illegal immigration scheme. These individuals have generally not been the Applicants themselves and their wrong-doing has affected the general public in a detrimental way. On June 29, 2015, a Senegalese resident Momar Diba, was found guilty of misrepresentation and charged under ss. 127(a) of IRPA. On June 16, 2014 Mr. Diba had attempted to gain entry into New Brunswick where he was referred to secondary inspection. During that inspection, it was discovered that Mr. Diba had offered to pay a New Brunswick woman money to marry him so he could stay in Canada. To many, this case seems like a classic s.40 misrepresentation case, where the individual would be referred to the Immigration Division and sent packing shortly thereafter with a 5-year bar in hand. So what made this more than that? Comparing the legislative language, it appears that the main distinguishing factor between an s.40 inadmissiblity and an s.127 offense is knowledge of the misrepresentation. 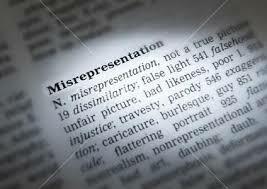 Knowledge of misrepresentation is not a requirement for s.40. Consequentially, I think the main differentiating factor between the inadmissibility and the offense is this mens reus element. My assessment of the situation is that in cases where CIC believes the Applicant is knowingly misrepresenting or withholding material facts and where the facts are egregious, misrepresentation charges will be pursued in addition to the inadmissibility allowing for a deportation order to be made. A deportation order bars the return of a foreign national to Canada without authorization. It is also important to note that just because a more serious punishment for the offense of misrepresentation exists, it does not make knowledge a requirement for the inadmissibility of misrepresentation to be made out. In the case of Paashazadeh v. Canada (MCI) 2015 FC 327, Justice Zinn rejected the Applicant’s argument along those lines and reaffirmed that innocent failures to provide material information can lead to misrepresentation and intention is not a requirement of the provision. Many of you have may have noticed that I have been quite active in writing about the recently in-force Strengthening Canadian Citizenship Act [“SCCA”] and how it may affect Applicants. Earlier this week, I wrote this piece for New Canadian Media where I looked at good, bad, and ugly provisions of the SCCA and ultimately concluded that it’s contradictory effect on immigration policy may be more harmful than the provisions themselves. I’ve also been looking at how the SCCA may affect the work of Counsel (which I will use interchangeably with the term Authorized Representatives) for Citizenship Applicants. In my forthcoming article in the Citizenship and Immigration Law Bulletin for Thomson-Reuters, I present a case that Counsel may be drawn into greater responsibility for tax law issues now that Social Insurance Number-sharing provisions have been introduced into the Citizenship Regulations. In this piece, I want to look briefly at another issue which may affect Authorized Representatives as a result of the changes to the Citizenship Act and Regulations, the issue of ethical and professional liability and regulations that now allow for disclosure of wrongdoings from CIC to the regulatory body. As a result of amendments via the SCCA, The Citizenship Act now provides that it is illegal for an individual who is not designated as an authorized representative. to represent a Citizenship Applicant for consideration, whether this advice is direct or indirect. 21.1 (1) Every person commits an offence who knowingly, directly or indirectly, represents or advises a person for consideration — or offers to do so — in connection with a proceeding or application under this Act. 21.1 (1) Commet une infraction quiconque sciemment, de façon directe ou indirecte, représente ou conseille une personne, moyennant rétribution, relativement à une demande ou à une instance prévue par la présente loi, ou offre de le faire. (c) a member in good standing of a body designated under subsection (5). c) les membres en règle d’un organisme désigné en vertu du paragraphe (5). (3) Subsection (1) does not apply to a student-at-law who offers or provides representation or advice to a person if the student-at-law is acting under the supervision of a person described in paragraph (2)(a) who is representing or advising the person — or offering to do so — in connection with a proceeding or application under this Act. (3) Il ne s’applique pas non plus au stagiaire en droit qui représente ou conseille une personne, ou qui offre de le faire, s’il agit sous la supervision d’une personne visée à l’alinéa (2)a) qui représente ou conseille une personne, ou qui offre de le faire, relativement à une demande ou à une instance prévue par la présente loi. (4) Subsection (1) does not apply to an entity, including a person acting on its behalf, that offers or provides services to assist persons in connection with an application under this Act if it is acting in accordance with an agreement or arrangement between that entity and Her Majesty in right of Canada that authorizes it to provide those services. (4) Enfin, il ne s’applique pas à l’entité — ou à la personne agissant en son nom — qui offre ou fournit des services relativement à une demande prévue par la présente loi si elle agit conformément à un accord ou à une entente avec Sa Majesté du chef du Canada l’autorisant à fournir ces services. (5) The Minister may, by regulation, designate a body whose members in good standing may represent or advise a person for consideration — or offer to do so — in connection with a proceeding or application under this Act. (5) Le ministre peut, par règlement, désigner un organisme dont les membres en règle peuvent représenter ou conseiller une personne, moyennant rétribution, relativement à une demande ou une instance prévue par la présente loi, ou offrir de le faire. (6) The Governor in Council may make regulations requiring the designated body to provide the Minister with any information set out in the regulations, including information relating to its governance and information to assist the Minister to evaluate whether the designated body governs its members in a manner that is in the public interest so that they provide professional and ethical representation and advice. The above-language used in the SCCA suggested that further regulations governing the conduct of authorized representatives would be introduced. The new Citizenship Regulations now in-force (supplementing the corresponding SCCA changes to the Citizenship Act) provide those further details. Among the Citizenship Regulations introduced are those which clarify that ICCRC-designated Immigration Consultants can advise on Citizenship for consideration. Also, there is clarification that any application where an Authorized Representative listed is not in fact authorized will result in applications being returned, unprocessed. 19. For the purposes of subsection 21.1(5) of the Act, the ICCRC is designated as a body whose members in good standing may represent or advise a person for consideration — or offer to do so — in connection with a proceeding or application under the Act. 20. If an applicant is represented or advised for consideration in connection with a proceeding or application under the Act by a person who is not referred to in subsections 21.1 (2) to (4) of the Act the application will be returned to the applicant because it is not accepted into processing. The new Citizenship Regulations also create that vehicle by which CIC can privately disclose to professional regulatory bodies such as the Immigration Consultants of Canada Regulatory Council (ICCRC) and provincial law societies, conduct which may raise ethical and professional concerns [emphasis added] (see full language of regulations: here). (c) any information relating to that conduct, but — in the case of any information that could identify any other person — only to the extent necessary for the complete disclosure of that conduct. I believe this later provision may pose some risk to authorized representatives who advise on Citizenship. For example, the ICCRC Code of Professional Conduct (here) contains several provisions regarding competency and quality of service. I don’t see anything preventing Citizenship and Immigration Canada (CIC) from disclosing to ICCRC poorly or incompetently filed applications or where a representative has failed to meet deadlines or Citizenship Act requirements. This could ultimately be used against the Authorized Representative, either if the regulatory body or an upset client decides to raise a complaint against the Authorized Representative. What makes this challenging is that CIC ultimately stand on opposite sides of the coin when it comes to assessing an application. I’ve read of numerous occasions in case law where counsel for the Applicant takes a perfectly legal, but highly risky approach, on a file and CIC has taken a position against the strategy or approach is abusive or frivolous. The line between what is considered “incompetent” and what is considered “abusive” or “frivolous” is in my mind very thin. Further interesting questions are also raised. Will the ICCRC inform the consultant immediately of any CIC report so that the consultant can fulfill his/her obligation to advise the client immediately on errors and omissions? Or will this mistake sit in the coffers of the ICCRC until the application is ultimately refused. How will such misconduct affect the Applicant’s overall case? Of course, what I have pointed out is the extreme use of this disclosure mechanism by CIC. It is both impractical and imprudent for every non-competent act to be reported by CIC to the regulatory bodies and application refusal is the more likely option. Furthermore, misrepresentation is likely the main “culprit” that this new regulation is aimed at. However, even the law of misrepresentation is not straight forward. For misrepresentation to be made out, there must be a finding that the direct or indirect misrepresentation was material to the Officer’s overall decision. Under the new regulations, for the disclosure to be made to the regulatory body only a “likeliness” that it violates the ethical or professional obligations of the representative is required. A much lower standard. Furthermore, what happens to the fact that ICCRC-designated consultants (this affects lawyers too) are prevented from disclosing who their clients are without their client’s consent or required by law. Do these disclosure requirements constitute an application of that exception that the client’s name can be openly disclosed to the ICCRC (or in the case of lawyers, law societies)? A lot of questions, few answers, but definitely an area I am very interested in analyzing further. I don’t think similar regulations exist (as far as I know) for the Immigration and Refugee Protection Act. I can definitely see a “chill” felt by practitioners if this disclosure mechanism is in place though. While it may have some positive effects (reducing errors, frivolous and bound to fail applications) it may also be too much unnecessary, non-independent oversight that detriments client representation.